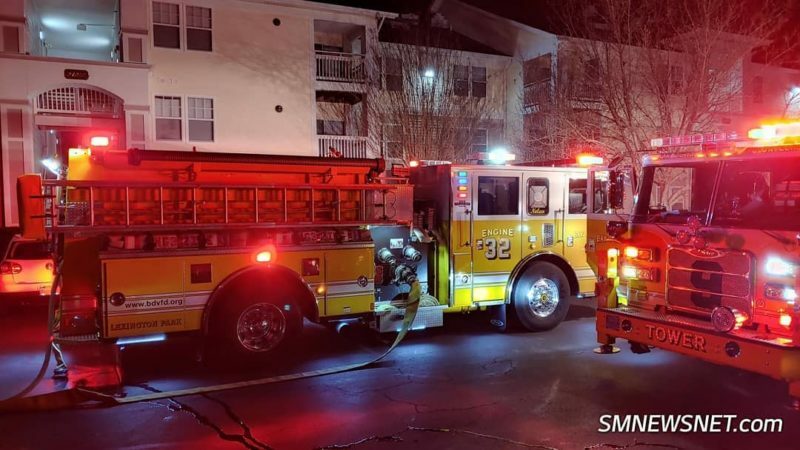 On Saturday, February 9, 2019, at approximately 2:30 a.m., firefighters from Bay District, Valley Lee, Hollywood, and NAS Patuxent River responded to 21288 Mayfaire Lane, at the Park Villas Apartments in Lexington Park, for the reported fire. 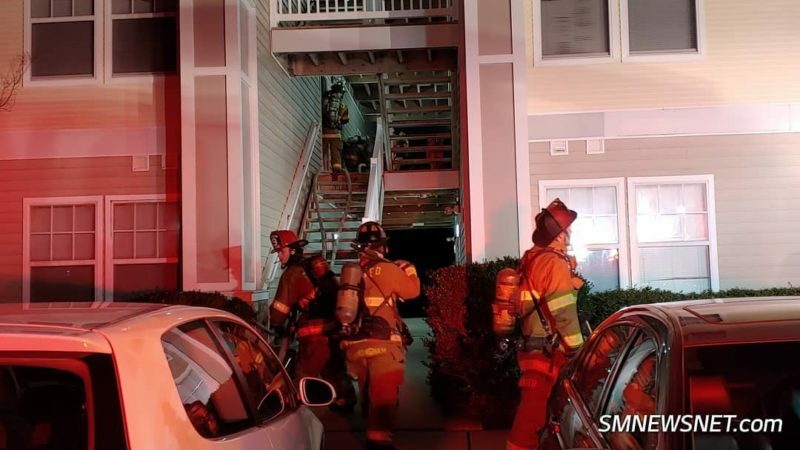 Crews arrived on scene to find a 3-story apartment building with nothing evident from three sides of the building, and after further investigation, firefighters found smoke showing from one apartment on the second floor with the apartment building occupants evacuating. 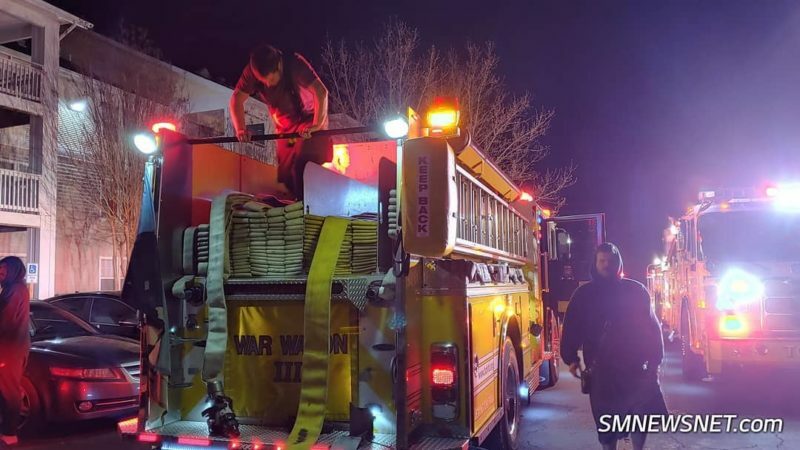 Firefighters advised a dryer had a fire inside of the appliance, and the sprinkler system controlled the fire until the arrival of crews. 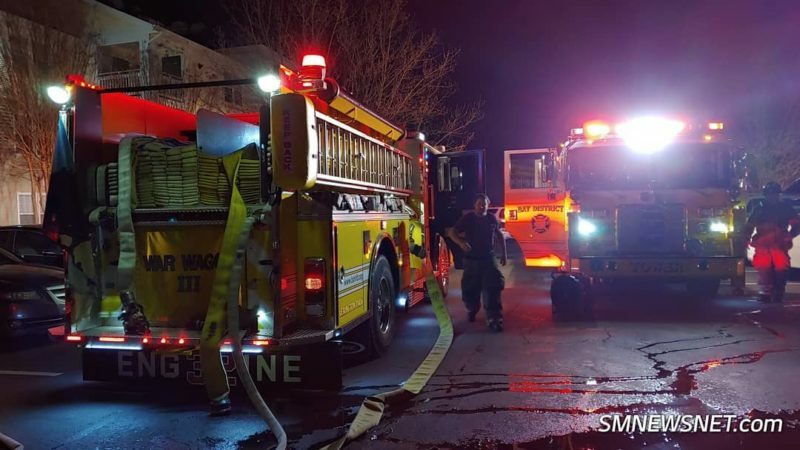 Firefighters quickly put out the remaining fire upon arrival. No extensions were found in the surrounding walls or flooring of the apartments. All occupants were allowed to re-enter their residences except for apartments 201, and 101. Apartment 101 was stated to have water damage. Firefighters turned the scene over to building maintenance and all crews returned to service when available. No injuries were reported and updates will be provided when they become available. 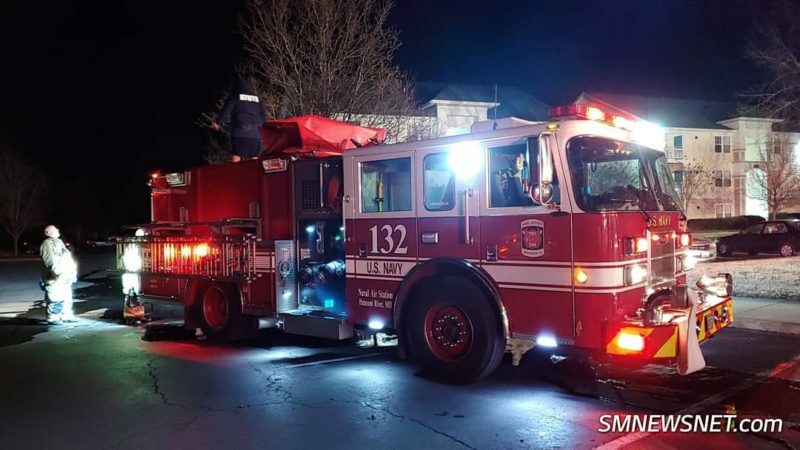 This entry was posted on February 11, 2019 at 8:46 am and is filed under All News, County, Fire & Rescue, Law Enforcement, St. Mary's News, Top News, z 600X120 Top Ad Bottom, z 600X120 Top Ad Top. You can follow any responses to this entry through the RSS 2.0 feed. I guess they can be glad them sprinkler system laws went into affect.